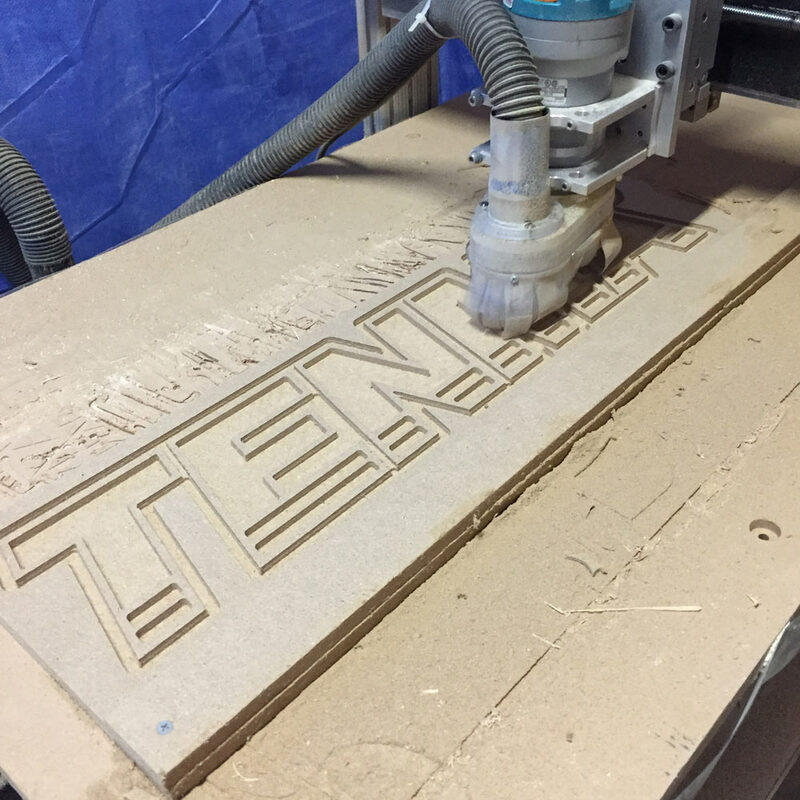 Earlier this week, I was looking around for more ideas to fill out our video set at MCM, and looking for an excuse to mill some more stuff on the CNC router. 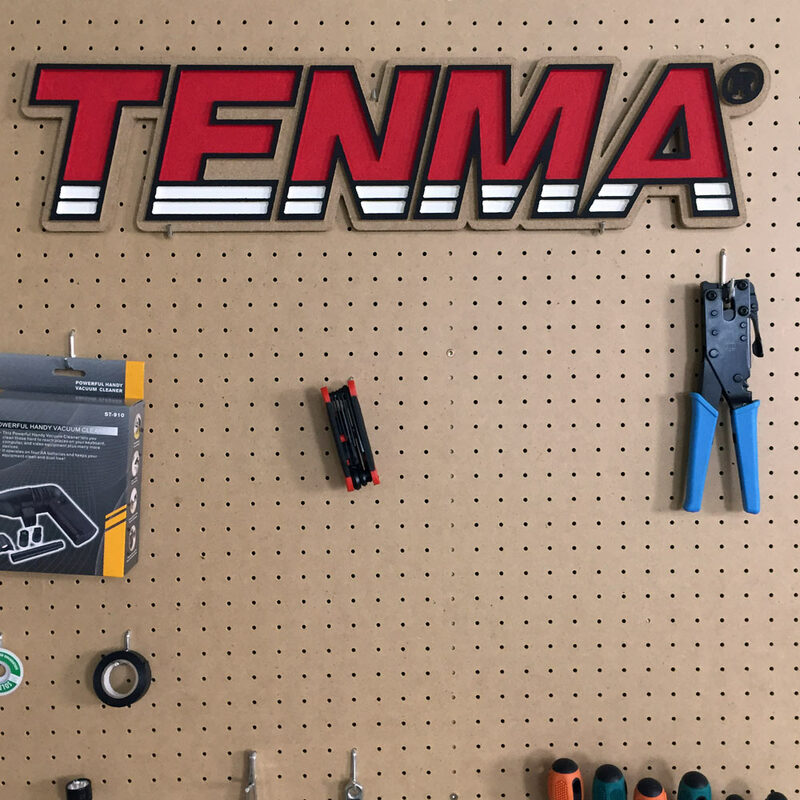 The Tenma (soldering and test equipment) logo has a neat shape, with some cool cutouts inside the letters. 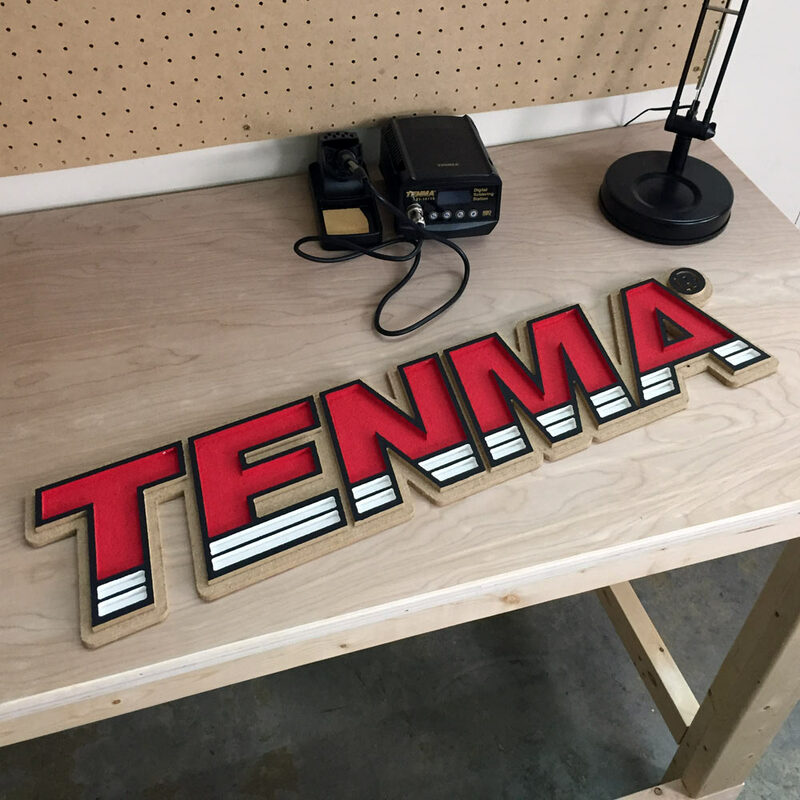 There was some scrap 1/2″ MDF laying around the shop, so I milled the sign from a piece. Finishing was done with acrylic paints. I think it adds a nice touch to the set.